Ukraine has imposed sanctions on Russian State Duma Speaker Vyacheslav Volodin, the State Duma said on its Facebook page. "[Russian] MPs believe that the State Duma chairman has been included in the sanctions list because of his remarks," it said. 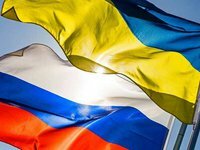 The State Duma has also suggested that Kyiv did so in response to the State Duma's "decision to form a working group that will be responsible for carrying out an analysis of the economic damage caused by Ukraine to Crimea and Sevastopol over 23 years." Such a group, headed by the chamber's First Deputy Speaker Ivan Melnikov (from the Communist Party of Russia) was set up on Volodin's initiative on Wednesday to assess the damage caused by Ukraine to Crimea from December 1991 to March 2014.